Home / Cardi B / VIDEOS / Video: Cardi B Feat. 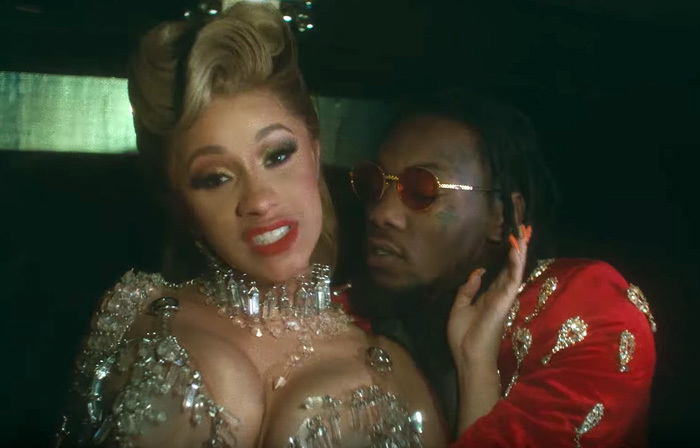 21 Savage: "Bartier Cardi"
Video: Cardi B Feat. 21 Savage: "Bartier Cardi"
Cardi B's highly awaited debut album Invasion Of Privacy drops on Friday, April 6. Before the album arrives, the Bodak Yellow rapper premieres the video for her 21 Savage assisted hit-track Bardier Cardi. “Bartier Cardi” peaked at No. 13 on Billboard's Hot 100 and is currently sitting at No. 38. Watch the video directed by hazy lo-fi below and click here to stream her latest single "Be Careful."